In India, Pradhan Mantri Jan Dhan Yojana, our government’s national mission for financial inclusion’ has a good looking scorecard, two years after it was launched. With 22.6 Crore Accounts opened till date, 75% of the accounts being active, and a total balance of more than Rs. 40,000 Crore accumulated in banks under the scheme, we can say it is the most exhaustive and rigorous financial inclusion initiative ever undertaken in India. However, what many people are asking today is ‘what next?’ Now that the initiative has taken off, what’s important is to stimulate and encourage regular transactions amongst account holders. Zero balance accounts have reduced significantly from 72% to 24%. Yet, 7 Crore zero balance accounts represent a Rs.700 Crore cost to the banks which have to bear maintenance charges of Rs. 100-150 per annum on each account. Account duplication stands at 33%. This means that for 7 Crore plus people, there is no particular incentive to use this account. Maybe it has been opened purely to facilitate payment of subsidies from the government and hence it is not really facilitating financial inclusion. Under the scheme, banks appoint Bank Correspondents (called Bank Mitras) to reach out to remote areas and enroll customers, while also providing support in transactions. The Bank Mitras are trained by banks and are equipped with net connected device for facilitating transactions and earn a commission or fixed pay every month. But the Bank Mitra scheme has run into trouble as they earn very little (approximately Rs.3000 per month) under this scheme. On the one hand, this has led to 10% dormancy in the sector. On the other hand, it also leads to instances where they charge customers for setting up accounts, for transactions and even asked for bribes to open accounts. Where does a technology solution fit into this scenario and how can it help? As I have said in the past, though we are a technology company, we do not view technology as a magic bullet that can cure everything. However, given the scale and pace of growth in financial inclusion today, we cannot overlook the role that technology could potentially play in solving the issues that JDY faces today. When looking at a technology solution, the need of the hour is to look at people’s real needs and barriers and then design the online experience that can address the challenge. One of the first steps to motivate customers to transact on their accounts, is to communicate with them. And the cost effective way to do this, is through mobile. Imagine an app that allows Bank Mitra’s to send messages or SMS to customers who have remained inactive for a long time – in their vernacular language. The app interface for the Bank Mitra can give him or her reminders to send messages to certain customers, or even wish others on festive occasions, thereby building a bond with them. Anant Computing has created a pioneering vernacular language app platform in India, supporting all the official 22 Indian languages. This means that a bank can develop just one app – but have it displayed to customers in each state, in their vernacular language. 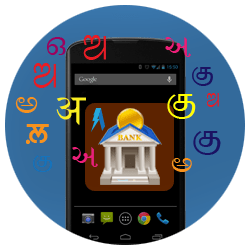 It is also of interest to point out, that apps which are built on Anant platform have inbuilt language keyboards that facilitate a consistent vernacular language experience, irrespective of the language limitations of the phone OS. Opening a bank account is only a means to an end, facilitating customer access to variety of banking products such as insurance, pension scheme, loans etc. A mobile app interface can be used to educate consumers about the benefits and advantages of different financial offerings. ging task of updating an app. When you build your app on the Anant platform, you create a special app called ‘app wallet’. App Wallet is actually nothing but a container or folder for multiple apps. An app wallet has more special features. 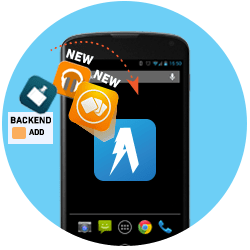 The app developer can add, delete or update all apps in an app wallet directly on the consumer’s device. What this means is that there could be a single JDY app on a customer’s phone. Depending on the customer’s location it can be automatically served to him in his local language. And the app can contain multiple apps – for his bank account, for any new products that are launched, and to contact his Bank Mitra. You could even put an educational video into his app wallet. Each time he opens it, updated apps are revealed and draw his attention. With human centric design and design thinking being buzzwords in the development sector today, it becomes important that we test, evaluate and refine concepts and experiences offered to consumers. For example, let’s say that a bank wants to test out the acceptability of a new product for low income consumers – a short term loan centered around the harvest season. 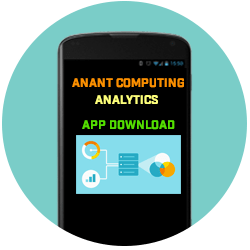 The Anant app interface allows automatic updating so that newer features or promotional materials can be pushed to users, and analytics can be monitored to study issues. At Anant, we are open to partner with MFIs and NGOs to pioneer, prototype and develop apps that can open up new doors for financial inclusion. If you have an app or an idea to develop an app for financial inclusion, write to me and I will be more than happy to partner towards creating a better future!